This will convert anyone to a cauliflower lover! Salty, savory, and packed full of flavor. This is my favorite way to eat cauliflower. You MUST try it! I am on day 8 of the 10-day No-Added-Sugar Challenge! Wooho! If you joined me and want to enter the giveaway, please comment on this video and let me know how you are doing so far on the challenge! Then on day 10, comment again letting me know how it went for you. My grandma didn’t like cauliflower until she had this recipe—and then she was converted. So, if you think you don’t like cauliflower, try this recipe and think again! It’s perfectly roasted yet still has a slight bite to it, and I drizzle a fragrant herb oil over it that is to die for. 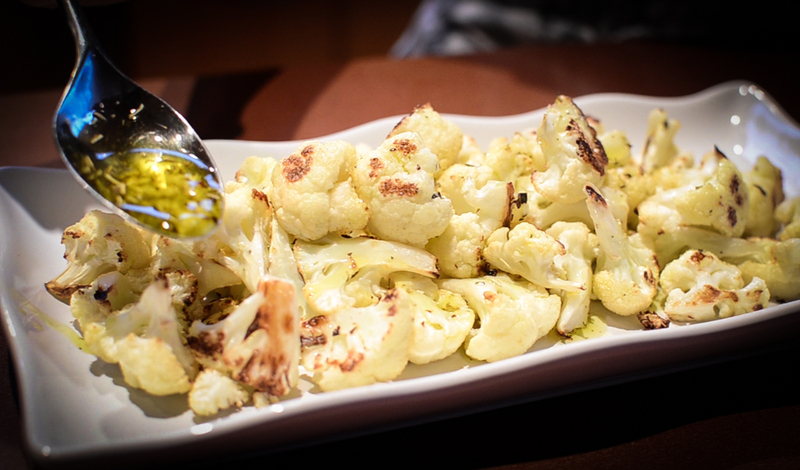 This herb drizzle is great over all different types of grilled veggies, but it tastes the best over cauliflower, in my opinion. This recipe makes 1/4 cup/60 ml of the Garlic-Herb Drizzle, but you only need a portion of that for this dish. Save the rest for drizzling over veggies or chicken! It’s that good! Preheat the oven to 450°F/230°F. 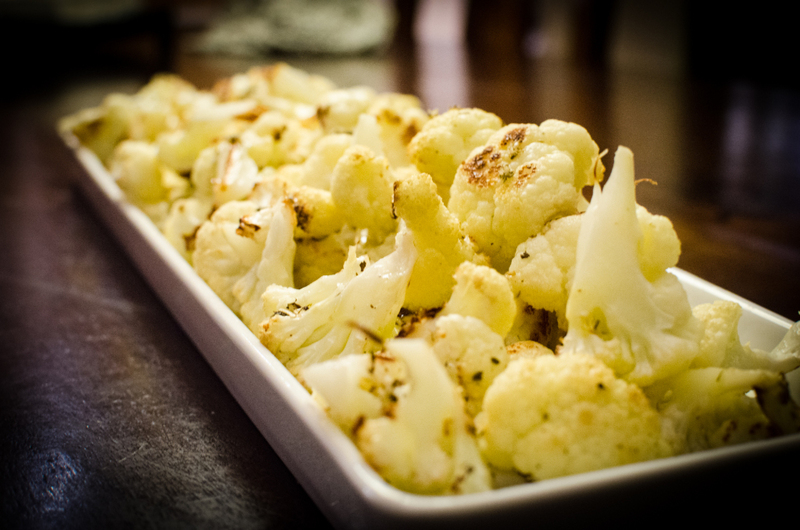 Cut the cauliflower into bite-size florets and place on a baking sheet, making sure the cauliflower is not crowded. You may need to use 2 baking sheets. 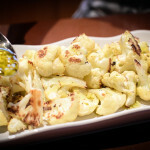 Drizzle with some grapeseed oil, just enough to lightly coat the cauliflower. Toss with your hands to coat. Roast in the oven for about 20 minutes, or until the edges are browned and crispy. While the cauliflower is roasting, place the olive oil, oregano, basil, rosemary, salt, pepper, red pepper flakes, and garlic in a small saucepan and stir. Heat the drizzle just until the garlic starts sizzling, and then remove from the heat. Place the hot cauliflower on a plate and drizzle with the Garlic-Herb Drizzle, making sure to get some of the garlic and herbs onto every bit of cauliflower. Serve immediately.